Today’s athletes seem to possess super-human qualities. The kind of powers we’d see in superhero movies as children and wonder what it would be like to be blessed with such might. But it’s not magic. It’s just a lot of training. With the 2016 Olympic Games in Rio de Janeiro upon us, we’re gearing up our own workouts; Olympian-style. And we don’t have to head all the way to South America to do it, because everything is right here, at the club. Here are just a few activities you can do to feel as fit and fresh as the athletes heading to Brazil this year. Olympic sprinting is an explosive, anaerobic event; with years of training for a 100m blast on the big day. Sprinters spend their time focusing on cardio and strength-building, with running taking up most of their practice. The best thing about treadmills are the fact you can manage the pace you run at; alternating between a moderate pace and throwing in bursts of sprinting. Most machines have pre-made interval workouts for you to try - all of which help you run longer, faster and strengthen your muscles (and blast belly fat). The Olympic squads may be rowing for their countries this year, but you’re rowing for Team You. 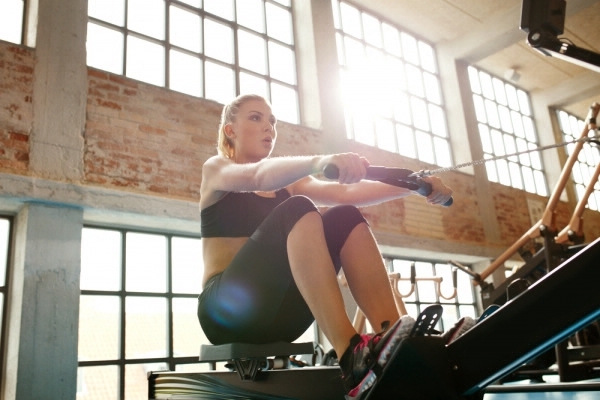 Using a rowing machine is brilliant for improving your overall health and since it mimics the motion of rowing a boat in water, it’s a full body workout, too. The rowing machine is so easy to use and for those with joint problems, the low-impact motions put minimal stress on your knees. Ask a trainer to guide you into a proper rowing technique if you’re unsure. You don’t have to bench press twice your own weight to build Olympian-style strength. Mix up free weights (think full squats, deadlifts, bench dips and dumbbells) with machines (which will guide you through proper form) for a strong, lean physique. Your objective isn’t to start shifting 100kg barbells on day one, but to get your muscles used to basic exercises, building progress as you go (which usually happens quickly with weightlifting!). If you want to swim like an Olympian, you need to keep up a moderate tempo, building endurance as you go. Try swimming at a brisk pace for 50 metres, then 100, 150, 200, resting for half a minute between distances as you work your way up. Then work your way down the same way. 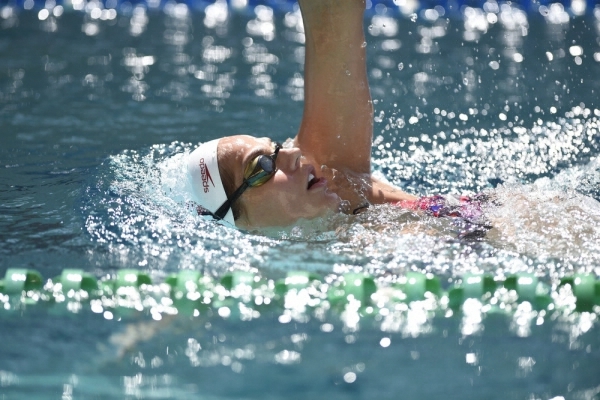 Alternatively, you could try interval swims: sprinting for one length then returning at a relaxed pace. Whatever your style, swimming is the perfect aerobic exercise to work the entire body, without stress to joints. Boxing is one of the purest forms of one-versus-one sports, requiring strength, skill, endurance, speed and brain work. Don’t let your judgement be clouded by stereotypes: boxing is far from the Rocky-style, concrete spaces you see on movies. In fact, women are representing in three categories for boxing at Rio 2016. If you’re ready to blitz calories, decrease stress, boost heart health, improve flexibility and work your entire body; grab the gloves and head to a fighting class. Olympic cycling is not a sport for the faint of heart - reaching over 50 mph at peak moments. Luckily for us, we can build up cycling speed at the gym, without risk of epic crashes. 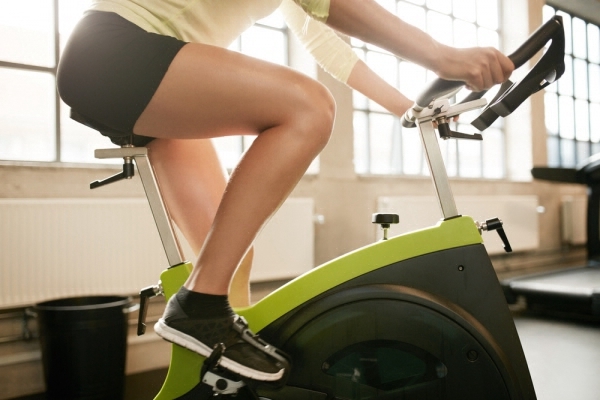 Exercising vigorously on a stationary bike can burn more than 300 calories in 30 minutes. So imagine what a structured cardio routine can do for you - just ask one of your club’s trainers for a suggested plan.